T-MACK IS C.P. 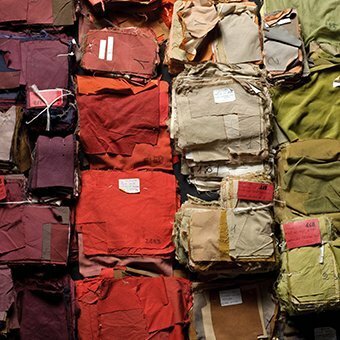 COMPANY’S NON-CONFORMIST RE-INTERPRETATION OF THE TRADITIONAL BRITISH “MAC” WATERPROOF RAINCOAT FABRIC. 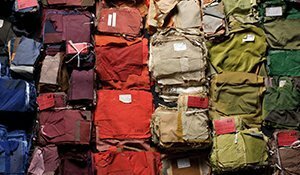 Traditionally this fabric is made from a “sandwich” of two layers of cotton fabric bonded together with a waterpoof solvent or membrane in between. 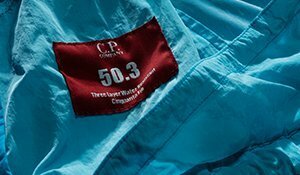 The long-standing problem with this method is that the cotton, even after being waterproofed, tends to retain moisture. C.P. 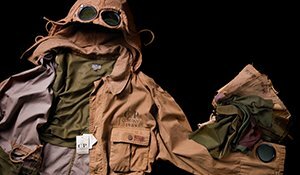 Company’s proprietary T-Mack fabric, on the other hand, uses two layers of an ultra fine polyester micro fibre fabric with a “natural” cotton hand to sandwich its membrane, simulating the traditional raincoat aesthetic. 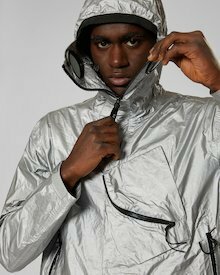 Every T-Mack jacket is constructed using laser technology and seam sealed making it fully-waterproof, with a 5000 mm water column resistance rating. 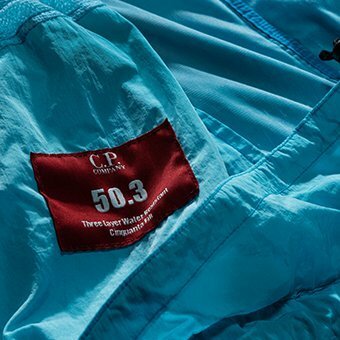 The T-Mack Goggle Jacket photographed weighs only 635 g*, the lightest C.P. 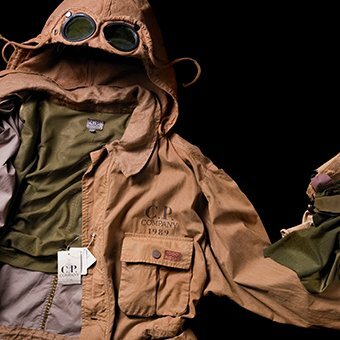 Company Goggle Jacket in C.P. Company history.